Ah ha, I tricked you. You thought I was going to pull out some fancy freehand cartoon portraits for day 5, to match what I did for day 5 on the black prompt. Well let me tell you that I do have a great idea for a mani that fits that exact description, but I haven't painted it yet, so instead you get this one from my draft vault. I counts on the 'white' theme because it was done on a white base ok! Today's mani was one of those that organically grew as I painted it. 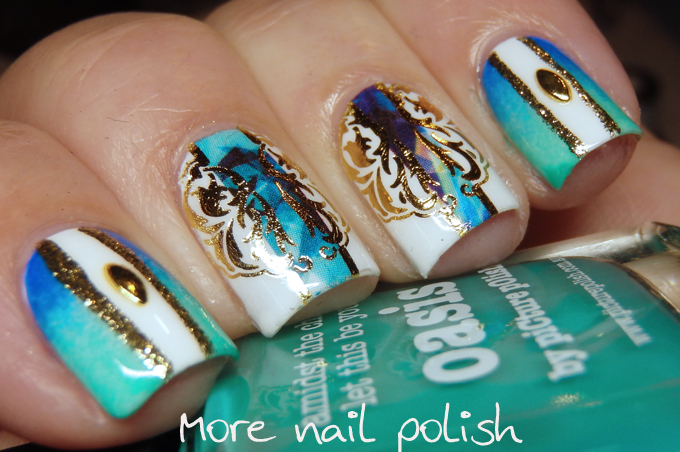 I started with some MILV water decals, which are the two centre nails. 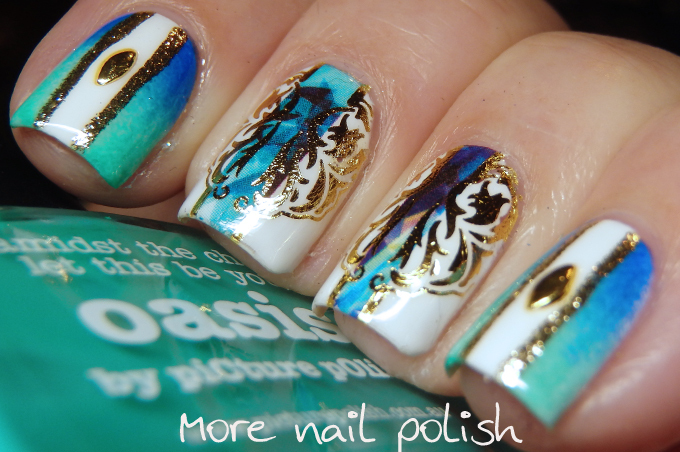 But I decided that I didn't want to just do a full mani of water decals and I needed to put some sort of artistic flare to it. 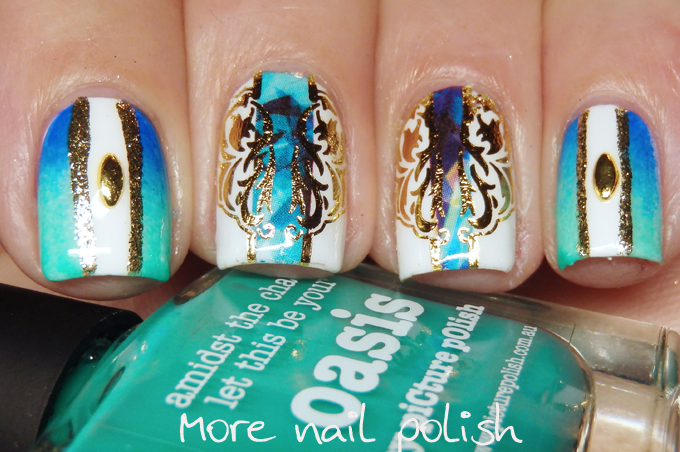 So I then did a gradient using similar colours to the centre part of the water decals, as well as some of my own gold accents. 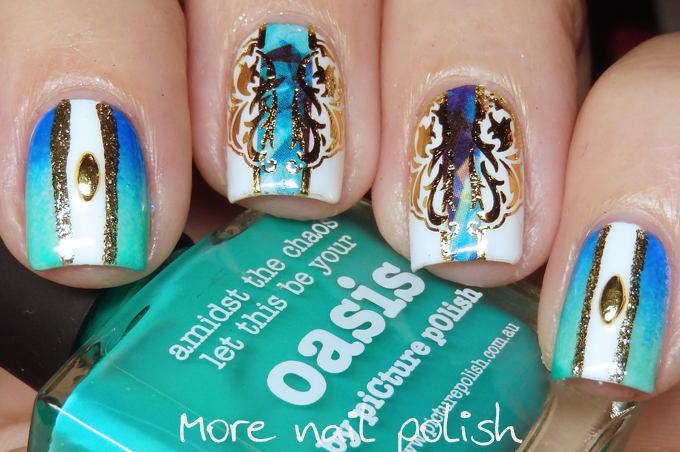 When looking at this, know one could tell that it was a combo of water decals and free hand nail art.